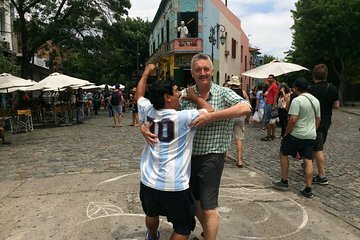 This shore excursion allows cruise passengers to explore many of Buenos Aires’ top attractions with a flexible itinerary. With a guide in lead, there’s no need to worry about navigation; just tell your operator what kind of itinerary you would like to follow and which neighborhoods you’d like to visit. For extra convenience, you have the option of fitting a morning or afternoon tour in your vacation schedule. We do not rush the tours.